3) Customers' logos and designs can be acceptable. 4) Suitable for dir cars, motorbikes, electric equipment. 5) Standard packing 6) High quality and competitive price. Remarks: the stickers/decals can be custom manufactured, with customized artwork. 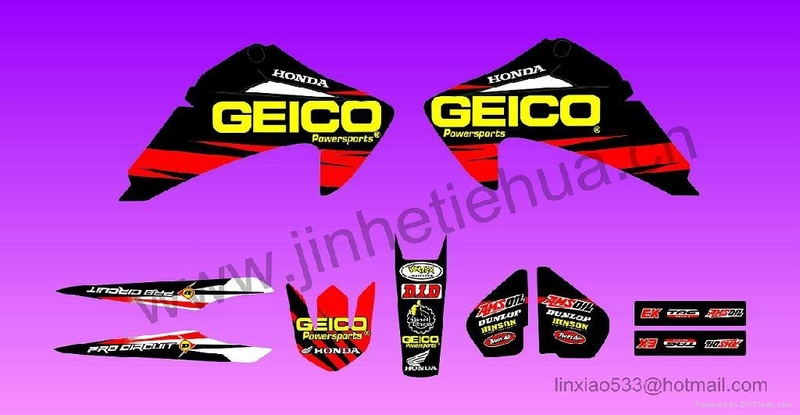 We could also provide decal design services, welcome your customized sticker/decal. Our large team designer would provide you with our best artwork for your reference.